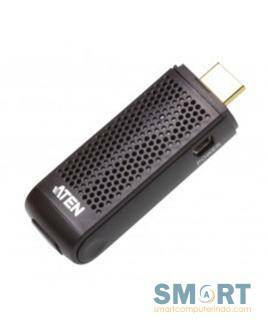 The VE819 HDMI Dongle Wireless Extender is the perfect solution for meeting rooms and home theater systems. It sends uncompressed Full HD 1080p signal from your HDMI devices such as laptops, computers and set top boxes. 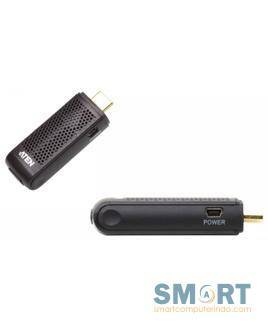 The VE819T HDMI Dongle Wireless Transmitter is an ideal choice for meeting rooms and home theater systems. It sends uncompressed Full HD 1080p signal from your HDMI devices such as laptops, computers and set top boxes. 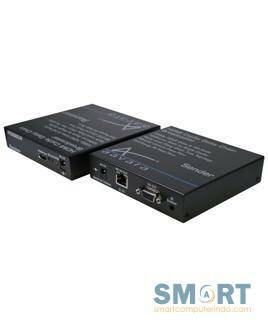 Up to four Wireless HDMI Transmitters can be paired to the Receiver, boosting the number of total transmitters per receiver to a maximum of 4. PB9000 4K/KVM over IP is a great 4K video distribution solution for Residential and Signage deploy, integrating Aavara AV Master Control Software and 3rd Party Control drivers for centralizing control. The PD3000 HD Video Tree Chain Cat5e Broadcaster is designed to simplify cabling of digital signage and commercial installation. Ultra high quality HDMI video with 7.1ch audio broadcasts to multiple TVs/Displays/Projectors at a wide spread area by Single Cat5e connection. Key features include ultra high quality HDMI 1080p @ 60Hz / DVI 1920x1200 video with 7.1ch audio, 100M by single Cat5e point to point and a Plug-n-Play, easy installation. Each receiver can further daisy chain to two receivers, and the PD3000 also supports a 10 layer ‘daisy-chain' for up to 1000M or even longer. Up to 100 TVs, displays or projectors can be supported. 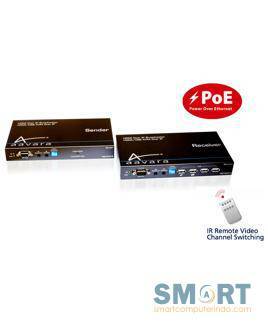 PB7000-PoE features Full HD HDMI video, Multi-channel Audio, High Speed USB and IR/RS-232 control signal broadcasting to multiple TVs/Displays/Projectors over IP network via IR Remote control. 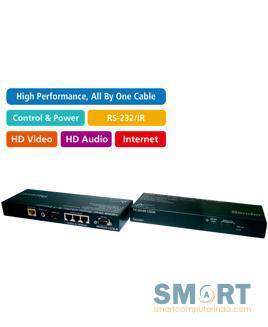 Furthermore Power over Ethernet facilitates the longer distance Digital signage installation whereas Receivers at display side don\'t need power adapter. PB7000 fully meets the high demand of Residential application as Home AV matrix w/ 7.1 ch Audio and 3D support. 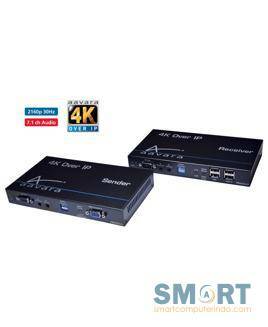 Aavara PE3D4K100A HDMI v1.4a Cat5e/6/7 Single-Cable Extender features the latest HDBase-T technology, which can support uncompressed 4Kx2K (4096x2160p, 4 times Full HD 1080p), 48bits Deep Colour, 7.1 channels audio, Ethernet Network Link and Power Over Cable transmission up to 100M (330ft) over ultra long distance by using SINGLE Cat5e/6/7 cable. 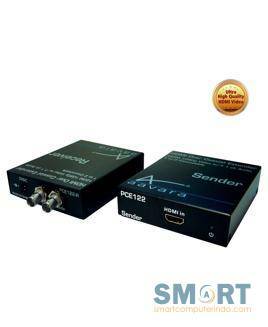 PCE122 HDMI over Single Coaxial Extender, offering 120M HDMI 1080p video, is also being introduced with the objective to, again, simplify installations. Coaxial cable is very suitable for both in-door and out-door deploy, plus PCE122 ultra long distance ultra high video quality transmission makes PCE122 the perfect solution for signage and residential AV application. The PCE122 also boasts built-in 1 to 2 Coaxial Splitter in Sender and One Coaxial Cascade output in Receiver which brings greater flexibility as it supports up to 5 layers Cascadable across 600M 1080p video, for 10 connected TVs, displays or projectors or more.